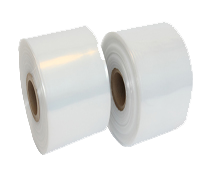 Our continuous roll of heavy duty layflat polythene tubing is the perfect solution when you need to pack products with similar widths but varied lengths. Layflat tubing is also ideal for packing long thin items or anything with a shape that’s difficult to wrap. The versatile and reliable 500 gauge heavy duty polythene tubing is particularly useful for medium to heavyweight and fragile items as it eliminates tears and punctures from sharp corners or edges. Our heavyweight plastic sleeve, available in a choice of 15 widths, can also be cut and sealed quickly to produce various bag lengths. NB: measurements are taken across the layflat tubing when lying flat. Lay flat tubing is widely used in many industries – notably in printing and publishing, furniture and textiles – as a quick and easy economical but highly versatile packaging material. Our 500 gauge layflat polythene is heavyweight poly tubing made from premium-grade polymer for its strength and durability, and is a good alternative to stretch wraps. Plus there’s no need to keep a huge stock of different-sized plastic bags when you can tailor-make your own from our plastic sleeve, available in 15 widths. An ideal packaging solution for fragile and medium to heavyweight objects, our heavy duty layflat tubing provides extra protection from tearing as well as from dust and moisture. Simply slide the plastic sleeve over items you wish to wrap, then cut and seal the layflat polythene to the desired length. You really don’t have to be an expert to operate this system, and you can produce a professional-looking package or make packing bags from the polythene tubing with the aid of a heat sealer. Choose from widths ranging from 2-36ins (the measurement is across the plastic sleeve (laid flat). Supplied in cost-effective rolls of 450m, our heavy duty layflat tubing will securely pack your products, keeping them safe during transit or storage. And because the plastic sleeve is transparent, you can easily check on your packages.